After a fairly ordinary start to Red Stripe Premier League season, things have finally started to come together at Harbour View FC. New head coach Ricardo “Bibi” Gardner finally seems to be getting the results he desires out of his troops which have seen the club climb from the bottom half of the 12-team table to fourth in the standings, with three sets of matches to be played in the first round. 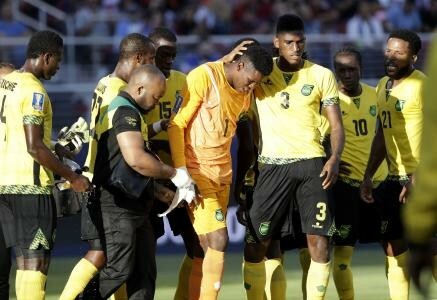 The former Reggae Boy cautiously admitted that things were looking up for his team. 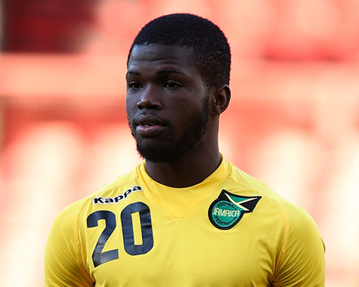 “It is getting better, but there is still a lot of work to be done; it’s a work in progress and we continue to work on the training ground and hopefully it will pay off in games like these,” he said after his team’s 1-0 win over the UWI on Sunday. Gardner said that the players have improved their intensity in training as they continue to grasp his philosophy. “The players are working a little bit harder in training and it’s showing out there on the pitch. The way you train is the way you are going to play on the weekends, so I think the work is paying off. The players are getting it gradually (philosophy), I don’t think they fully understand it yet, but as I said it’s a work in progress. They are grasping the information and I can see all that we are working on in training, transforming into the game, so that is a plus for us,” he noted. A left back during his playing days, the Harbour View head coach has put together the stingiest defensive unit in the league so far. Harbour View have conceded only two goals in eight games, the closest team being Tivoli Gardens who have conceded twice as many in the same number of games. “Definitely, if you continue to keep clean sheets there is an opportunity of you getting a goal every now and again, so I want to applaud the defensive work also,” said the former Bolton Wanderers captain. But while a solid defence ensures that you don’t lose games, goals win matches, and Gardner is fully aware of the importance of striking it good at both ends. Growing confidence within the ranks, he admits, is also crucial to achieving all goals. 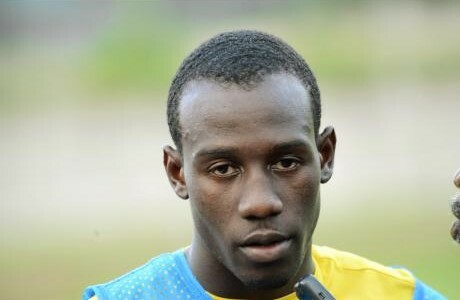 “The confidence is growing and I can see it each day on the training ground that they start to enjoy it a little bit more and they start to express themselves a little bit more and they start to grasp the information and executing it out there on the training field as well,” said the former Wolmer’s Boys’ Manning Cup star. While they have been solid at the back, Harbour View have managed less than a goal a game up front, with just six goals from eight starts, and so the focus will shift to that area of the pitch in the short term. “We will continue to work on it in training and we will continue to work on it a day at a time. Looking back on a couple of games earlier in the season, I think we are doing far better in terms of creating chances. We have started to put the ball in the back of the net and that is the only way you are going to win games. So we just have to continue to work as hard as we do on our defensive work,” the first-year head coach said. The primary target for the first round is being met at the moment and it is something that the club can build on, Gardner suggested. The 13 points that Harbour View have amassed so far in the league sees them tied on points with third-place Portmore United who have a game in hand, but five points off the league leaders and defending champions Arnett Gardens, who have totalled 18 points to date. Congratulations to the new Technical Staff led by Ricardo ‘Bibi’ Gardner, Fabian ‘Koje’ Taylor and Manager, Oneil ‘Bigga’ Smith and the entire 2017 squad on winning their first game by 1-0 over Cavalier FC at the Stadium East complex. Veteran Sean Fraser converted a 75th-minute penalty to give Harbour View an unlikely victory over a wasteful Cavalier Soccer Club in their Red Stripe Premier League match at the Stadium East field yesterday. Harbour View, who should have been at least four goals down before referee Weston Costley ruled handball in the box on George Pinnock, were extremely lucky to pick up maximum points following a poor display. Former national player Fraser went straight down the middle for his first goal of the season after goalkeeper Peter Harrison committed himself to his right. 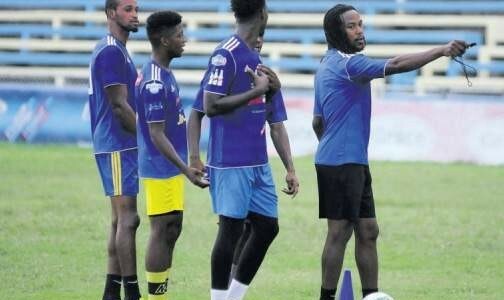 The “Stars of the East”, who drew 1-1 with Montego Bay United last week, were played off the park, but collected three valuable points, and Coach Ricardo Gardner was grateful. “It’s good to get the three points, but I think we have a lot of work to do still on the field. We didn’t show our class against a very young Cavalier team,” reasoned Gardner. “No disrespect to Cavalier; they came out and played, moved the ball, but at the end of the day it was good to get three points,” he noted. “Credit to Cavalier for the chances they have created, but sometimes it is good to get ugly wins like what we did today, so we just have to go back on the training ground and continue to work,” Gardner added. Harbour View now move to four points, the same as The University of the West Indies (UWI), who whipped Humble Lion 3-1, and Reno, who battled to a 1-1 draw with Waterhouse FC. 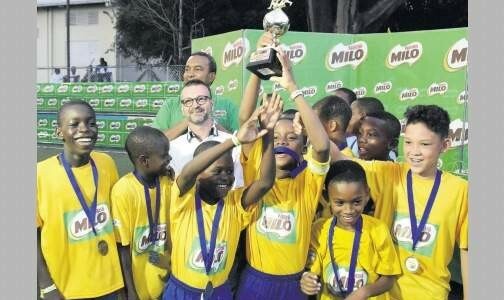 Portmore United, following their 4-0 hammering of new boy Sandals South Coast, are provisionally top of the league. 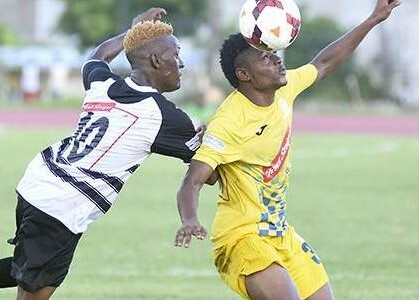 Cavalier, who lost to 10-man Portmore United last week, turned in a spirited performance and should have notched their first win since returning to top-flight football. But the likes of Chevonne Marsh, Alex Marshall and Nicholas Anderson, although terrorising the Harbour View back line, wasted several good goalscoring opportunities. Head Coach Rudolph Speid was clearly a disappointed man after watching his young team dominate Harbour View but leave empty-handed to remain pointless after two games. “I thought the score could have been five or anything just like the game we played before,” lamented Speid. He continued: “But the reason why this one stings is that we got at least two penalties in the second half; everybody in the stadium saw them except the referee and then he called one that only him alone in the stadium saw. The ball clearly hit the player in his private parts and his linesman was gesticulating to him to come over and he ignored him and call the penalty. “The referee decided the game, but saying that, this game should not have been one that he decided because we did get a lot of chances with quality players and didn’t put them away,” he added. Harbour View — Joel Johnson, Christopher Harvey, Nicholas Beckett, Rosario Harriott, Ryan Wellington, Kimarley Fray, Sheldon McKoy, Jelani Nicholson (Ajeanie Talbott 89th), Sean Fraser, Jaleel Chamberlain (Michael Lutus 59th), Thorn Simpson (Richard Anderson 77th). All the Best in Retirement, Ryan ‘Godda’ Thompson!